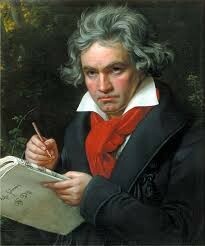 Beethoven was born in December 1770 (the exact date is unknown) in a town in Germany. 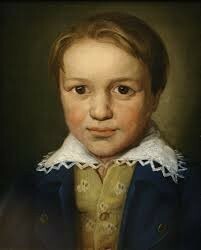 At an early age he was introduced and tough music by his father Johann. But his father couldn't teach him everything, his teaching was passed on to a composer named Neefe. The hard work paid off cause at the age of 12 Beethoven published his very first song "9 variations in C minor for piano". His teacher called him the "The new Mozart". One giant one is that he had his first public performance at age 7 1/2! Also in his later years he stayed in a place named Vienna where he performed often, but he was so popular that when he had thoughts of leaving the countess paid him to stay! He was also going deaf as well, but that didn't drag him down, while he was deaf he performed his best work they had ever seen.And in his lifetime he performed and wrote 9 symphonies.